We support YOU, be it as project director or be it as line manager,in finding the best solutions for YOUR current challenges. We consult and support YOU in terms of company development as well as in technical, operational aspects, and we do this for YOU in the context of planned investments, ongoing transactions, new strategies and their related implementations. 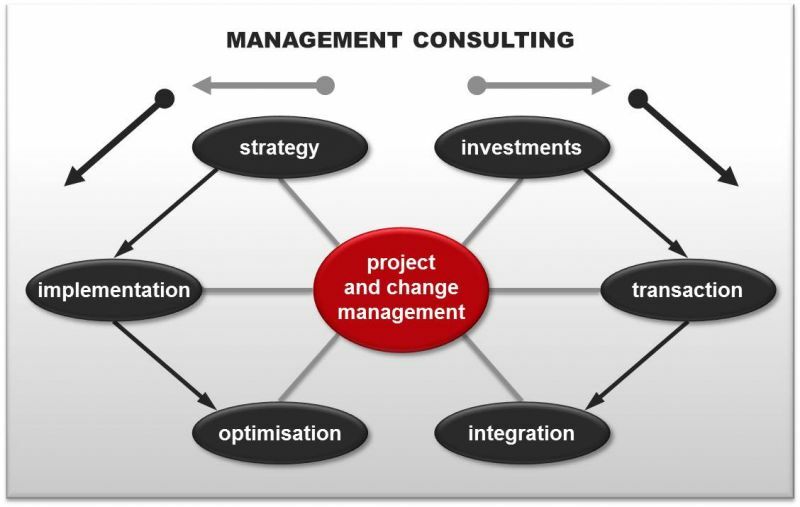 To YOUR benefit we draw on our long-lasting experience in national and international project management functions and change projects, and we do this at a highly professional level in both German and English language. For more detailed information, please refer to our selected project references or do not hesitate to contact us directly. We are looking forward to get in contact with YOU.